Rustom House in Grant Road is home to an elderly priest who is a veritable storehouse of Iranian history. Ervad Parvez Bajan has six cupboards for books on Irani and Persian culture and just one for his personal effects. He can pick out unerringly the volume in the vast cache which contains a particular detail he is seeking. Ervad Bajan is a sixth-generation priest and serves as head priest of the Seth B M Mevawala Fire Temple at Byculla, which has been managed by his family since the enthronement of the fire in 1851. 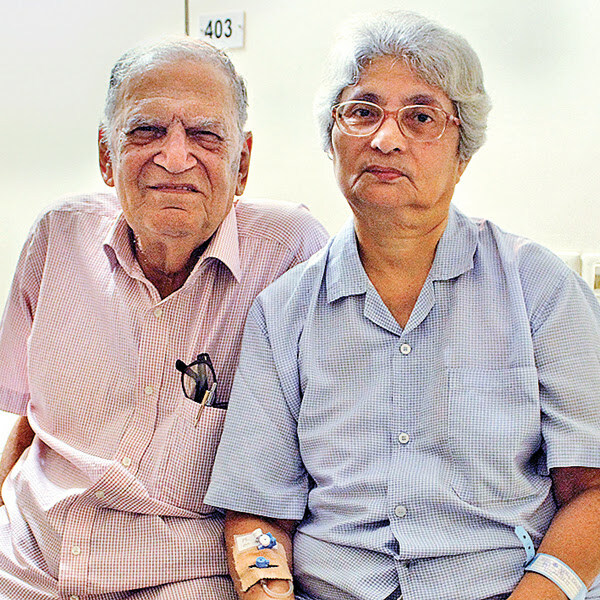 He trained at the Dadar Parsi madressa (seminary) from 1958-1963 and worked with Union Bank for 23 years, where he says he became the first employee to secure leave for religious study. Having become the first graduate in his family, the spirited gentleman went on to take a postgraduate degree in law. Ervad Bajan has continued learning through his 65 years, despite family and priestly responsibilities. He carefully extracts the original text which has earned him his doctorate. It reportedly dates back 450 years, so the leaves must be handled with extreme care. 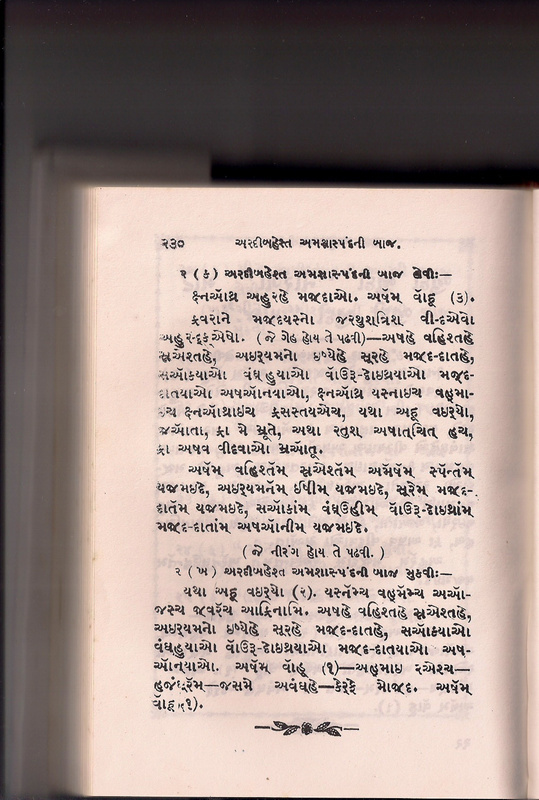 Curiously, it is written in a mix of Avesta, Pahlavi and old Gujarati in a manner that requires one to turn the book upside down to decipher each alternating script. Most ancient Iranian languages like Avestan, Pahlavi and Pazand are not spoken tongues anymore, he says, yet community youngsters show interest in studying them at Mumbai University. “We are witnessing renewed interest in Zoroastrian history as well. Each year Noshir Dadrawala and I conduct tours to Iran on behalf of a Pune institute, where we guide Indians and expats through the holy sites of the faith. The warm feedback we receive is a sign that we are on the right track,” he says. There is greater significance to this day than just abstaining from meat today or through this Holy month. About 5 years ago I wrote an article titled: “Bahman – Bestows Divine Wisdom” and which was published in Jam-e-Jamshed. It’s a bit long, but you may like reading it. BORI, in collaboration with London University, to hold 10-day course in Avestan, an ancient language now fading into oblivion.In an attempt to resurrect the ancient Iranian language Avestan, Bhandarkar Oriental Research Institute (BORI) is conducting a 10-day course from July 6. I will be grateful if you could circulate this information and the attached Course Structure and Registration Form on your websites and Facebook groups to reach as large an audience as possible at the earliest. Kindly print out the Poster for display at popular sites on your Campus as well. Interested individuals are most welcome as well. We look forward to a good response. As a young girl, Grant Road resident Ketty Shroff, 71, always wanted to be a post graduate. However, she could not fulfill her dreams because of financial constrains. But she did not lose heart and 50 years after her graduation, Ketty fulfilled her dream by doing what she desperately wanted to do — getting apost-graduate degree. In fact, Ketty stood first among 2,342 students who appeared for MA in Awesta Pehlavi — the language of the Zorastrian scriptures — this year from the Institute of Distance Open Learning (IDOL), Mumbai University. She was felicitated on the occasion of the convocation ceremony in the university. After graduating from Navsari in Gujarat Ketty moved to Mumbai. She served the Central Bank of India for 35 years and retired as a manager. Ketty had decided to do her MA in 2011. After the convocation day, Ketty suffered a heart attack on February 3. She was immediately admitted in an ICU of a nearby hospital. “I am grateful to the IDOL authorities that they cooperated with me and helped me to complete my post graduation in the subject I was interested in. I felt like a celebrity when during the convocation students came to get photographed with me. May be, I could not digest this excitement and landed up in hospital the next,” said Ketty with a smile. Welcome to the FEZANA Religious Education portal.. The site is designed to assist Zoroastrian Religion Class Teachers at various Zoroastrian organizations in North America. The site has teaching material that is used by religion class teachers at the various Zoroastrian associations in North America. The two main groups of lessons are Zoroastrian History and Zoroastrian Religion. Within each group the lessons are designated by their age appropriateness. We thank all the religion class teachers who have contributed to this website and welcome contribution from all religion class teachers. An Introductory audio-visual course for all ages above 21 years. At Dadar Athornan Institute (Madressa) Annexe (2nd Flr). For Registration SMS: TZWL with your name on 9819914133 / 9833177692. (Fees to be paid on the day of the course). A gentle reminder with regards praying this special prayer, for three consecutive days, starting from tomorrow, owing to Bakri Id. Wisdom to one and all! [Time is the predominant factor in evolution and, as such, when the time comes, things happen as destined in Nature. The time is now ripe when all the Zarthushtis of the world should become aware of the coming of the Saviour, RAENIDAR BEHRAM VARZAVAND. It is possible that some unfortunate skeptic may not believe in it. So be it, but at least let him/her be aware of it so that when it does happen, that individual will not be absolutely at sea. “Truth is stranger than fiction” is known to many. Still, due to lack of faith, they mistrust and fall in doubt. Although in today’s world, there are charlatans, one wishes to be cautious, but by having intellectual faith, one can avoid falling a victim to such dubious persons. True faith can take a person towards salvation. The world deluge or “Jag Rael” or the popular story of Noah’s Ark is mentioned in all the main religions of the world. Before the world gets submerged in water due to heavy rains, floods and melting of the ice-cap of the North Pole, as per the Zarthushti Deen, “Soshyos”, whose status is only next to Prophet Zarathushtra, leads the beings of the world towards the North Pole to a place called Pamir ­ the roof of the world. After a lapse of some thousand years, when the water on the earth recedes, and the world seems inhabitable, the people ­ the “Anjuman” which comes down from the roof of the world – is led by Gayomard, the father of the Aryan race. From this event, Gayomard starts another cycle of Time known in the Zarthushti Deen as “Zarvane Daregho-Khadat”. (In Jasame-Avangahe-Mazda, a Zarathushtis daily prayers ­ “Thwashe Khadatahe, Zarvanahe Akarnahe, Zarvanahe Daregho-Khadate” ­ all these three denote cycles of Time.) “Thwashe Khadatahe” is a person’s individual time cycle, viz., one round of Time, i.e., before birth, birth-death and after- death. “Zarvane Daregho-Khadate” is the time cycle of 81,000 years from Gayomard to the world deluge and “Zarvanahe Akarnahe” is trillions and zillions of years of unaccountable cycles of 81,000 years, i.e., “Zarvanahe Daregho-Khadate”. We are at present concerned with “Zarvanahe Daregho-Khadate”, in the beginning of which very high souls descended on the earth, namely, Nabanaz-disht and Poryotakesh Ravans who upheld the white side of Nature and fought with the dark side. This was the bygone era of Mazdayasnis; till we come to King Lohrasp’s reign who, being a very holy and pious monarch, gave away his kingdom to his son, Gustasp, in whose reign, due to the “Pukar” (call) of Spenta Armaity (Mother Earth), Dadar Hormuzd sends to this earth, the Prophet of Prophets, Asho Spitaman Zarathushtra . This took place somewhere around 5,000 years after Gayomard. In Gustasp’s reign, Asho Zarathusht teaches the Zarathushti Deen, and breaks the cloud of Tur-bara-Tur, the pinnacle of formation of gross accumulation of the dark side of Nature, which gets vanquished and white side of Nature is the victor. After this, dynasty after dynasty with their rise and fall, come and go on the earth, one by one. Different religions came into being and from time to time, Raenidars came, taught and went. The last Raenidar Adarbad Marespand, under whose jurisdiction we are still, at present, was during the reign of King Shapur II (309-379 AD), about 1600 years ago, whose Avesta we pray today and whose reign will end when the new Raenidar Shah Behram Varzavand (blessed be his name) will rule in Iran, renovate and renew the Mazdayasni Zarathushti Deen and protect with peace and prosperity, the citizens of the world. Here, we will try to understand about the coming Raenidar of the near future ­ Shah Behram Varzavand ­ who will not only be Holiest of the Holy, but who also will rule as monarch and will be the guiding spirit of humanity at large. Asho Zarathushtra and the Prize of Ten Pregnant Mares and One Camel! 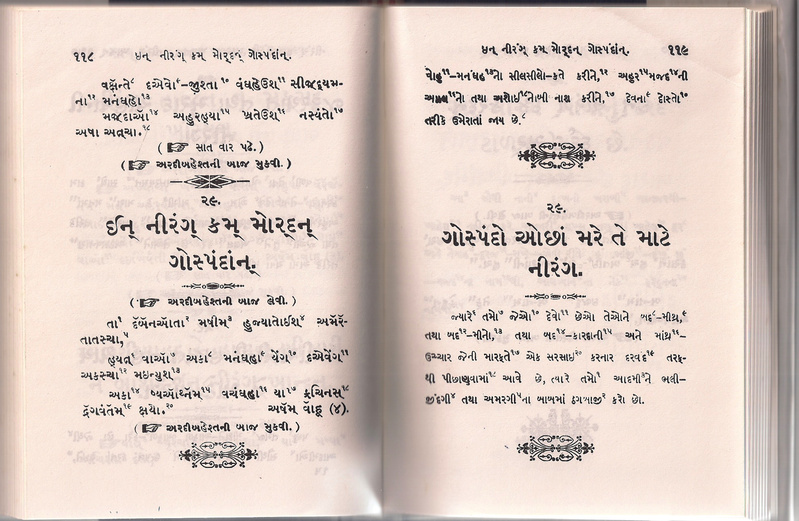 Paigambar Saheb Asho Zarathushtra is revered as a Renowned Yazad! It is so stated in Yasna (Ijeshne) ha 3 and 7 and also in various Yashts and prayers revealed in the Pak Avesta! He was not an ordinary human like us. The Pahlavi Dinkard describes Asho Zarathushtra as “ham-keherpi-e amashaspand”, i.e. One with the Ameshaspands! As an Immortal Divine Being, Asho Zarathushtrais completely attuned with Ahura Mazda’s Thoughts, Words and Deeds! It follows that as a Spiritual Being, Asho Zarathushtra was not “born” to learn the lessons of life which we mortals require to; instead, He was sent by Ahura Mazda to teach us the Path to Asha, to Frashogard. Asho Zarathsuhtra is Appointed by Ahura Mazda as the “Ahu” and the “Ratu” of this physical world, geti (ha 29.6) and is held to be on the same spiritual level as the Holy Immortals, the Ameshaspands (Khordad Yasht, karda 1). Ahura Mazda announces that Asho Zarathushtra is the Only One, “aevo” (ha 29.8), who has heard His complete Sacred Manthra (Manthra Spenta is the Soul of Ahura Mazda as so stated in the Fravardin Yasht)! Here too, Ahura Mazda indicates that His Soul and Asho Zarathushtra’s Soul are “hamem” or in correlation with each other!